I’d been to Shrewsbury numerous times in the 1990s to visit a friend, but this was the first time I’d ever been there sober and without a hangover. This time our trip to Shrewsbury was a pit stop on our way back to Manchester to grab a bite to eat and stretch our legs. We parked in St Julian’s Friars car park on the edge of town. It was £2.70 for 3 hours – as you would expect for a busy town. I believe in the winter time these car parks are allowed to flood as the River Severn flows through the town. As I learnt with Ludlow, Castle equals hill, and so it was with Shrewsbury. Needless to say, if you struggle with walking, Shrewsbury can be problematic on that score. 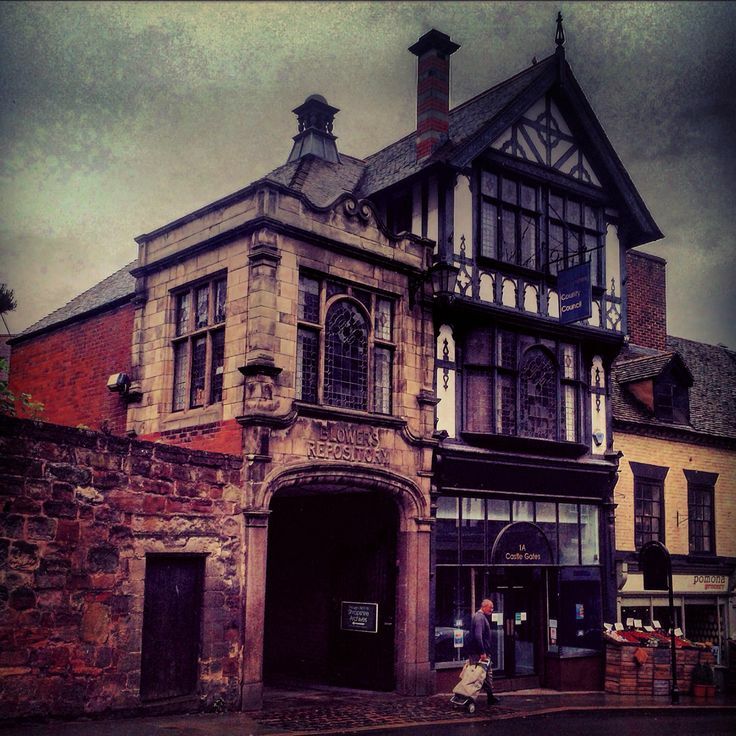 If you like historical cities like York or Chester, then you will love Shrewsbury. 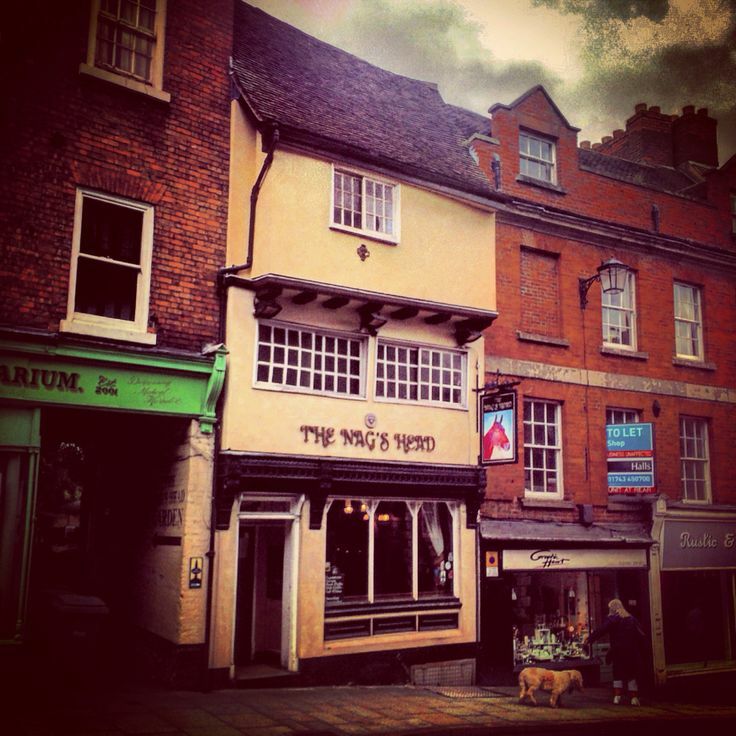 Although technically Shrewsbury isn’t a city, but a town, which is surprising given its long history. 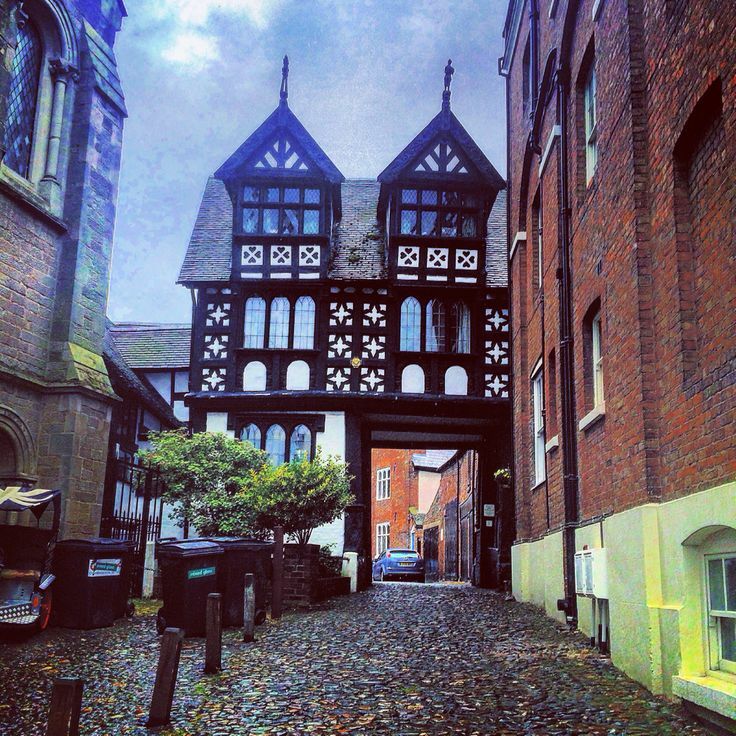 Shrewsbury is packed full of gorgeous architecture and you just can’t help yourself from taking photo after photo. You can practically tick off the history of British architecture in this town – medieval sandstone castle, Tudor black and white buildings are littered across the town like confetti, Georgian buildings to 20th centre shopping precincts. Even the railway station looks grand like a Victorian castle. Getting planning permission in this town must be a nightmare, but it does look really good for tight planning controls. We grabbed a bite to eat at a little sandwich shop in the town centre. I opted for the spinach and mushroom roll as I was getting fed up of eating meat at every meal whilst we were on this trip. We had to eat in a nearby alley way as it was a miserable wet Monday afternoon. It was nice despite the surroundings. In the end, to get warm we ended up sheltering in Patisserie Valerie for a cake and a coffee. Shopping in Shrewsbury is quite a middle class affair with lots Cath Kitson inspired designs, Farrow and Ball paint palette adorning the shops and Annie Soan chalk paint finishes everywhere. It has a good mix of specialist independent and classy high street shops like L’Octane, which you’d normally find in the posh parts of cities. Lifestyle shops are everywhere in Shrewsbury, so if you are looking for something bespoke or handmade this is the place for you. If you are a big fan of stationery shops like myself, then definitely pop into Write Here. What did make me jealous were all the classy looking spa places. In Manchester you normally find spa places in overpriced hotels, dodgy looking places above shops or beauty salons doing groupon offers. Shrewsbury is a must for charity shop addicts and there were plenty in the town to rifle through. Many of them sell decent stuff and if you are looking for furniture to upcycle this is a good place to go. My favourite shop was Oxfam Books, because when Neil had left me for dust as he’d found a pile of records to rummage through, I found a copy of the book I was currently reading and started reading it from the place I was up to. I know it was very cheeky, but what can you do when you’re a vinyl record widow? It was weird wandering the streets sober as there are lots of lovely old pubs here which make for a good night out. As I was walking through the town I was having flashbacks to drunken times in the 1990s. I recollected the time when me and my friends spent hours in a narrow pub fleecing the general knowledge quiz machine with our collective knowledge. When I went to Shrewsbury Castle for a Folk Festival and discovered Folk music wasn’t for me – I still haven’t forgiven my friend for making me go. Then there was the Buttermarket night club which did club nights for over 25s – meat market is one phrase to describe it. I even remembered the taxi rank shop where I got hiccups and couldn’t stop until I fell asleep. I’d forgotten what a fab place Shrewsbury is to visit for a day out or better still for a weekend break. It’s interesting how differently you perceive a place to be in your 40s compared to your 20s. I found I was spotting things I didn’t realise were there the first time I’d visited. 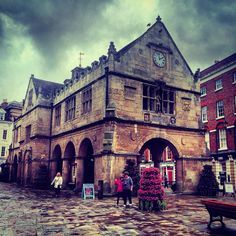 Shame the weather wasn’t so great and we didn’t have much time, but Shrewsbury is an absolute gem of a place and worth a visit.